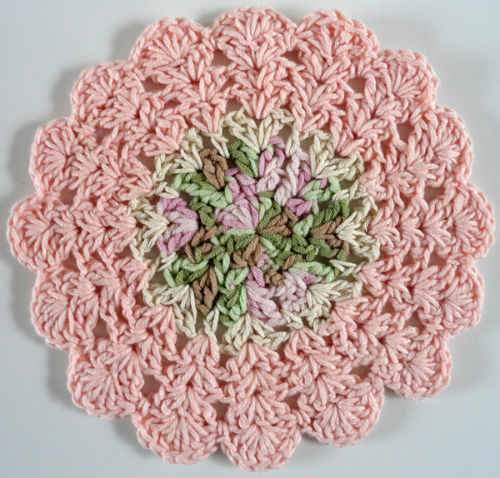 You’ll love watching the little flowers appear as you crochet this cozy striped throw. Use the colors we show, or choose from the many Super Saver colors for a new look of your own. 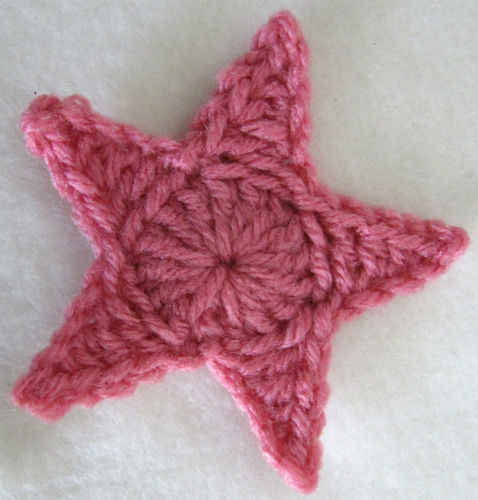 GAUGE: 14 sts = 4″; 12 rows = 4¾” in pattern with larger hook. CHECK YOUR GAUGE. Use any size hook to obtain gauge. Throw measures 51” x 65”. Cl (cluster) = [yo and draw up a loop, yo and draw through 2 loops on hook] 3 times all in same space, yo and draw through all 4 loops on hook. NOTE: To change color, work last st before color change until 2 loops remain on hook, drop color in use; with next color to be used, yo and draw through 2 loops remaining on hook. Continue with new color. With A and larger hook, ch 169. Row 1 (Right Side): Sc in 2nd ch from hook and in each ch across, changing to B in last sc; turn. Row 2: With B, ch 3, skip first sc, * (dc, ch 1, dc) all in next sc, skip next 2 sc; repeat from * to last 2 sts; (dc, ch 1, dc) all in next sc, dc in last sc changing to C; turn. Row 3: With C, ch 3, skip first dc, * Cl in next ch-1 space, ch 2; repeat from * to last ch-1 space; Cl in last ch-1 space, dc in top of ch-3 changing to A; turn. Row 4: With A, ch 1, sc in first dc, * sc in Cl, 2 sc in next ch-2 space; repeat from * to last 2 sts; sc in last Cl, sc in top of ch-3; turn. Rows 5 and 6: Ch 1, sc in each sc across; turn. Row 7: Repeat Row 5 changing to B in last sc; turn. Row 8: With B, repeat Row 2 changing to D in last dc. Row 9: With D, repeat Row 3. Rows 10-13: Repeat Rows 4-7. Repeat Rows 2-13 for pat until 62” from beginning, end by working Row 10. Fasten off. Round 1: With right side facing and larger hook, attach A in upper right hand corner; ch 1, * work an odd number of sc evenly across to next corner, work 3 sc in corner; repeat from * around taking care to keep work flat; join with a slip st in first sc. Rounds 2 and 3: Ch 1, sc in each sc around working 3 sc in each corner; join to first sc. Round 4: Ch 4, skip first 2 sc, * dc in next sc, ch 1, skip next sc; repeat from * to next corner sc; [dc, ch 1] 3 times all in corner sc, skip next sc; repeat from * around; ** dc in next sc, ch 1, skip next sc; repeat from ** to end; join in 3rd ch of ch-4. Change to smaller hook. Round 5: Ch 1, * (slip st, ch 2, dc) all in next space; repeat from * around; join to first slip st. Fasten off. Weave in ends. A, B, C, D = Colors A, B, C, D; ch = chain; dc = double crochet; mm = millimeters; st(s) = stitch (es); yo = yarn over; * or ** = repeat whatever follows the * or ** as indicated;  = work directions in brackets the number of times specified.